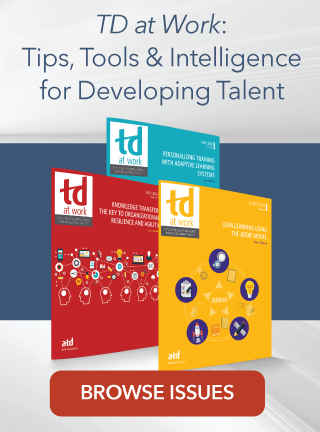 In “Business Acumen Basics for Talent Development,” Robert S. Brodo explains that the business ecosystem analysis is an excellent tool for talent development professionals to use to develop an understanding of their organization’s business environment. Through it, you can determine what your business has to offer its customers or potential customers, your business’s competitors, and the driving forces of government, supply chain, and adjacent markets that affect your organization. When you better understand the value your company offers its customers, you will be in a better position to help them deliver that value. As a business, where are we now? Where are we going? Who are our competitors, and what are their strategies? Is there a low or high likelihood for new competitors? How does this affect the talent development strategy? How does the government, supply chain, and adjacent markets impact our industry? Understanding these issues will allow you to have conversations with the C-suite so that you can design solutions that fit with your value proposition and align with the realities of the business environment.